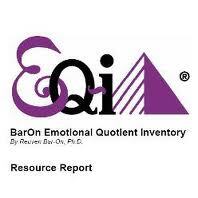 There is good reason that EQi has created so much buzz – it’s effective! Most hiring managers are now giving more weight to emotional intelligence than five years ago and may even value it more than IQ. In many cases, companies ask interview questions designed to assess candidate’s level of EQi so it’s crucial you understand the concepts of EQi and how it relates to your job search strategy. You certainly can prepare examples to demonstrate your competency in these arenas in order to be ready for the interview, but how do you do the same in your resume and cover letter? You can easily list accomplishments and experiences to show these traits on paper. When have I exercised impulse control and self management to make a better decision, improve a work relationship or implement a creative or controversial idea? How have I been able to accomplish results amidst an emotionally charged situation or negative workplace? What method have I used to handle stress well in circumstances? How has that ability helped me on the job? When have I been successful by identifying and understanding others (colleagues, customers, those I manage, my supervisor)? What achievements have I attained as a result of my influential and persuasive ability? What did I say or do which may have changed people’s viewpoint in order to support a common goal? These examples will certainly stand out to the recruiter or hiring manager. They can be used, with much more detail, in the interview process to tell the stories behind your accomplishments. You will have the opportunity to use the SOAR method by explaining the situation (S), your objective (O), the action you took (A) and the result (R) as a memorable accomplishment. By sharing these stories and examples with the hiring manager, you help the employer visualize and understand your emotional intelligence. Stories are powerful and make a lasting impression. Answering those questions introspectively and sharing your results with others is a great exercise in preparation for a job interview. Thanks for sharing.